CF-Root is the package that will root Samsung Galaxy S3. This is simple and straight way to root Galaxy S3 and is very useful for those who are new to rooting. CF-Root will install SuperSu, ClockworkMod and CWM Manager app on your phone. The package is compatible with GT-I9300 and GT-I9300T only. Basically its All in one package for Samsung Galaxy S3. You Can remove all junky system apps that you don’t want to use. You can install any ROM on your phone. Improved the performance of phone. This process was made only for GT-I9300 and GT-I9300T devices only, don’t try to attempt this method on any other model. Rooting phone will void your warranty or may cause damage to your phone. Please read the instructions carefully. Razzil will not be responsible for any damage. Download and install ODIN3, Odin is popular utility to flash firmware’s, kernels on Samsung phones. Download and install KIES on your PC/laptop. it insures that you’ve proper drivers. Start Odin and Connect your phone to pc via USB cable. You’ll get message “Added ! !” in ODIN, if you don’t get this message then reinstall drivers again. Click the Start button to start flashing CF-Root. When flashing is complete, you’ll get a PASS message and the phone will automatically reboot. 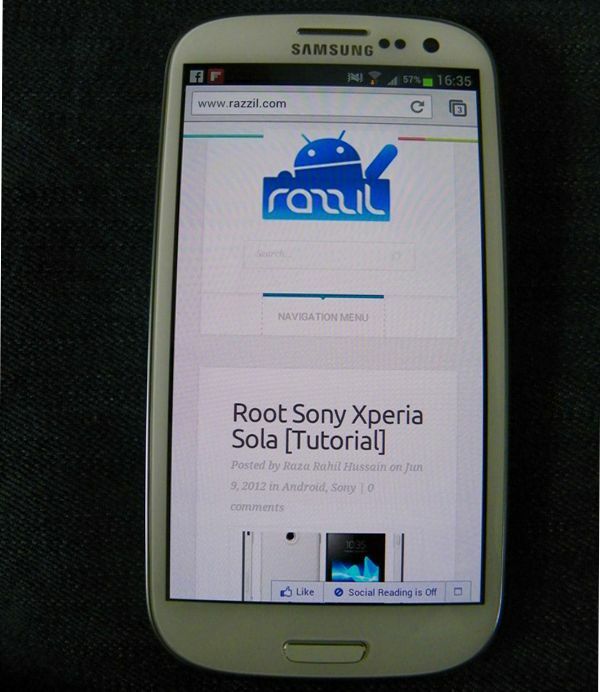 Congrats, You’ve successfully rooted your Galaxy S3 i9300.